I received an MBA from the University of Minnesota more than 20 years ago. It never did much for me career wise, since I was more of a science guy than a business guy as it turns out. Still, I did learn how to make presentations and whip out decision matrices when the need arose. I also learned about business buzzwords and management approaches de jour. When I went to B-school, people were talking about one-minute managing, searching for excellence, and change-mastering. I never really got too enthused about those ideas, they just seemed kind of , well , simplistic or phoney or both. So what's the point of this? Well, I still write the occasional business article when the opportunity is right. Several months ago, I included this quiz with an article. How many of these "high powered" management approaches do people remember? Here’s a decade-by-decade list of some of the most popular management theories of the last 50 years. Some came and went quickly; others stuck around. Can you match the theory with its description? A. A management style in which management and employees make formal agreements about accomplishing specific objectives at the start of each year. B. Managers believe that people have an inherent dislike for work and will avoid it whenever possible. Employees must be coerced and threatened in order to achieve organizational objectives. C. An organizational design in which project team members report to both a functional manager and a project manager. D. Managers believe that work is as natural for people as play and rest. Therefore, employees will motivate themselves. E. A training tool that uses feedback and role-play to help employees gain personal insights and, in so doing, change their attitudes and behaviors. F. A management technique in which all expenditures have to be justified in complete detail by each division manager at the start of each fiscal year. H. Volunteer groups of workers meet to discuss workplace improvement, followed by presentations to management with their ideas. I. Instead of focusing on functional specialties, such as engineering and marketing, executives manage by looking strictly at business processes. J. A business’s organization chart is redrawn, and with layers of management between top executives and the front or operational lines drastically reduced. K. Organizations should be managed by considering four key areas simultaneously: learning and growth, business processes, customers, and financial performance. L. Companies provide a job for life. In so doing they reap the rewards of very loyal and hardworking employees. Evidently, a fair amount of research continues into rocket science. Last year eight countries test fired ballistic missiles. According to the article exerpt below, from a mailing by the Federation of American Scientists, these test firings were connected with nuclear weapons delivery development. The FAS website is often quite interesting. North Korea may have gotten all the attention, but all the nuclear weapon states were busy flight-testing ballistic missiles for their nuclear weapons during 2006. According to a preliminary count, eight countries launched more than 26 ballistic missiles of 23 types in 24 different events. Unlike the failed North Korean Taepo Dong 2 launch, most other ballistic missile tests were successful. Russia and India also experienced missile failures, but the United States demonstrated a very reliable capability including the 117th consecutive successful launch of the Trident II D5 sea-launched ballistic missile. The ballistic missile flight tests involved weapons ranging from 10-warhead intercontinental ballistic missiles down to single-warhead short-range ballistic missiles. Most of the flight tests, however, involved long-range ballistic missiles and the United States, Russia and France also launched sea-launched ballistic missiles (see table below). From Wuzhai, impact in Takla Makan Desert. From Biscarosse (CELM facility), impact in South Atlantic. From Chandipur, impact in Indian Ocean. Part of the Great Prophet 2 exercise. From Musudan-ri near Kalmo. ICBM failed. Part of Strategic Missile Group exercise. From Plesetsk, impact on Kura range. From Dmitry Donskoy (Typhoon) in White Sea. Failed. From K-84 (Delta IV) at North Pole, impact on Kizha range. From Delta III in Pacific, impact on Kizha range. From Silo in Baykonur, impact on Kura range. From Orenburg, impact on Kura range. From Vandenberg AFB, impact Kwajalein. Final W87/Mk-21 SERV test flight. From Vandenberg AFB, impact near Guam. Extended-range, single-warhead flight test. From Vandenberg AFB, impact Kwajalein. Three-warhead payload. From Vandenberg AFB, impact Kwajalein. Three-warhead flight test. Launched by E-6B TACAMO airborne command post. From USS Maryland (SSBN-738) off Florida, impact in South Atlantic. * Unreported events may add to the list. ** Iran does not have nuclear weapons but is suspected of pursuing nuclear weapons capability. *** It is unknown if North Korea has developed a nuclear reentry vehicle for its ballistic missiles. DF-31 is a three-stage, solid-propellant intercontinental ballistic missile. The basic variant DF-31 has a range of 8,000km and delivers a payload of between 1,050 and 1,750kg. This payload can be equipped with a single 1,000kT yield nuclear warhead. The upgraded DF-31A has a range of at least 10,000km. The missile is said to be capable of deliver 3~5 MTRVs each with 20, 90 or 150kT yield as well as a single 1,000kT yield warhead. It is also possibly equipped with penetration aids and decoys to complicate enemy missile warning and defence. In 1984, I took a job with Northwestern Bell Telephone Company as an engineer in their plant operations department. Part of my responsibilities required me to visit the phone company buildings in locations throughout the western part of Minnesota. The duty route included places like Pipestone, Willmar, Marshall, Detroit Lakes and Granite Falls. An older engineer accompanied me, and he and I would spend the long time in the car driving between towns talking about one thing or another. The engineer, Vince, was a technician and teacher, and extremely well versed in the operation and theory of most things mechanical. We spent long hours talking about mechanical things -- cars, air conditioners, locomotives, power plants, that kind of stuff. He would also talk about his family. He had two children, and given his age, his kids were surprisingly young. "They're my second family," he said. I figured he meant that he had remarried and had more children with his second wife. "No, I've been married to the same woman all my life," he said. "I lost my first children in an accident when they were very young." The engineer then told me he lost his "first" family when an airplane crashed into his Minneapolis home. This troubled me greatly. I really liked the old engineer and while I didn't want to press him for details, I did want to know more. While his story seems like one of incredible bad luck and improbability, it really isn't so. In fact, my research shows that in the years 1950 through 1956, planes fell from the sky on south Minneapolis with astounding frequency -- dramatic enough to make news, but not so unusual to be considered really exotic. Almost every year, some poor homeowner, golfer or motorist would be quietly reading at home, golfing or simply driving down the road, minding their own business, when an airplane would suddenly and unexpectedly fall in front of them killing pilots, passengers and sometimes, neighborhood residents as well. On March 7, 1950, a Northwest Orient Airlines airplane flying in from Madison, Wisconsin, with 13 people aboard was on its final landing approach into what is now runway 12-R at the airport. The landing was ill-advised. A powerful March snowstorm was underway, with high winds, and near-whiteout conditions. The pilot elected to land and, in doing so, clipped a flagpole at Fort Snelling with his left wing. Now committed to getting his damaged airplane on the ground, the pilot pulled back on the throttle to gain altitude and made a big swing around South Minneapolis to take another try at 12-R. The plane was too damaged to make it. Its mangled wing fell off and hit the Washburn water tower, with the wingtip landing on the tower's south lawn. The fuselage then plunged onto Minnehaha Parkway between Emerson and Dupont avenues, smashing into three houses before coming to rest on the banks of the creek. Residents heard the airplane's engines groan and labor even over the roar of the storm before impact. "I heard that plane come in very, very low," said one resident. "You could tell something was wrong." On Minnehaha Parkway, smoke and fire were everywhere. Firefighters rushed to the scene, but there was little to do except smother flames and extract the dead. Thirteen passengers and crew were gone, plus two children on the ground, crushed to death in their sleep by a falling airplane. Vince's tale was equally horrific. On a hot and sunny Saturday in June 1956, he was out watering his South Minneapolis lawn while the neighborhood children were happily splashing around in a small plastic swimming pool in the adjacent neighbor's yard. Suddenly and with almost no warning, a fighter plane -- a Navy F9F "Panther" Jet -- fell from the sky with a terrible commotion. The jet, loaded with fuel, hit the ground nose-first in the middle of 44th Avenue between 59th and 60th streets. This particular type of jet carried 500 gallons of aviation-grade gasoline in each of its wingtip fuel tanks. 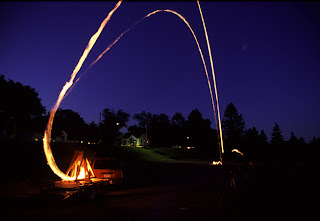 A fireball roared upwards, and as it did, the remains of the aircraft rolled, bounced and splattered into several houses, coming to a burning halt in the very spot where the neighborhood children had been playing moments before. 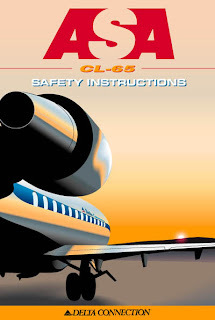 Immediately, the flight crew and four people on the ground were killed. Some kids were able to run from the wreckage, clothes and body covered with burning gasoline. The adults in the neighborhood rushed to grab them and extinguish the fire. Firefighters arrived quickly, but great damage to the neighborhood and the families living in the quiet South Minneapolis neighborhood had been done. Over the next several weeks, several more children succumbed to their burns. When it was over, at least nine people -- including seven children on the ground -- were dead, victims of an unpredictable intrusion from above. There were other a number of other crashes near Minneapolis. In 1948, an army airplane crashed on a spot where the Mall of America now sits. At the time, that area was a swamp, so no one on the ground were hurt, but the people on the airplane were killed. In 1951, three Navy fliers died when their twin-engine Beech crashed while landing on a southeast airport approach. Their plane just missed Fort Snelling's living quarters, striking a tree and bursting into flames on a golf course -- shocking, but not killing, golfers in the clubhouse. In 1956, another military plane -- an Air Force F89 Scorpion jet fighter carrying 104 live air-to-ground rockets -- had catastrophic engine failure at takeoff. It crashed into a sedan carrying a family on the airport frontage road, where Highways 5 and 494 are today. Two of the car's four occupants - a five-year-old girl and her mother -- were killed. The pilots were able to eject safely. I visited the Minnehaha Parkway crash site recently. As one would expect after so much time, no evidence remains of the crash. However, one home is clearly of 1950s vintage, its low roof and windowed-side porch of an obviously different architectural style from its 1920s neighbors. It's differentness is a reminder of what happened on that spot 50 years ago. It's too late for this year's Xmas list, but the Sound Commander 3600 is a new product from Sas's R&D Services that pretty much insures that your voice can be heard no matter what. Powered by a powerful amplifier and featuring multiple arrays of positionable loudspeakers, the SC3600 is loud, really loud. Apparently, it's perfect for those times when you need to yell at someone and they're more than a mile away. The Coast Guard is experimenting with an “acoustic hailing device” at its small boat station on the Little Creek Naval Amphibious Base, Va. The device — six speakers that amount essentially to a bullhorn on steroids — can transmit prerecorded voice messages and warning alarms of up to 134 decibels. It would be used to wave off civilians who stray into restricted zones, such as those set around military vessels and ports, cruise ships or liquefied natural gas tankers, Lt. Gene Maestas, spokesman for the service’s 5th District, said. “This thing is so loud, I’d compare it to standing right next to the speakers at a rock concert,” Maestas said. Below is a link to an article that gives the info on this oddball mobile weapon that looks a lot like a motorized scooter with a potato cannon mounted amidships for protection. Maybe this is what the well-to-do Technical in Mogadishu wants for the holidays? 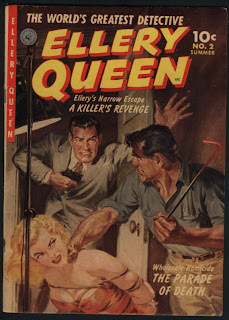 I was listening to an old “Ellery Queen” radio drama via the Internet last week. The program was just okay, but there was a wonderful 1950s vintage radio commercial that included the terrific Bromo Seltzer Talking Train. Whoo Whoo -Bromo-Selzer - Bromo-Selzer - Bromo-Selzer - Bromo-Selzer. Have a listen. I looked the BS-TT up on the Internet. Evidently, the Talking Train was a big deal in the advertising world back then. It utilized a now ancient sound effects device called a Sonovox. A descendant of the Sonovox is Peter Frampton’s beloved Talk Box (remember the talking guitar in Show me the Way?) The Talk Box takes the audio output of an amplified instrument ( ie, an electric guitar), and transforms it via a sort of electronic effects pedal. The unique part is that the sound generated by the pedal travels through a length of plastic tubing that the musician puts in his or her mouth. So you want to learn how to build a catapult? Well, I can't say I blame you. I got the catapult bug about 20 years ago and have been building them ever since. 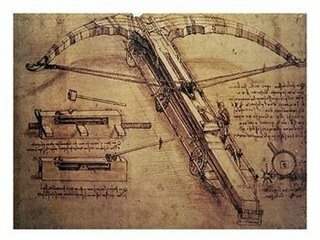 I've written a book with instructions, history, and theory behind catapults. If you're interested, go take a look. You can get at any Barnes and Nobles store, Amazon, etc and quite a few public libraries keep copies as well. Besides my book, there are number of websites on the Internet with catapult building information. Google them up and take your pick. Obviously, some are better than others. I suggest a visit my site http://www.building-a-catapult.com/ It shows the steps I went through to build my big catapult called Ludgar . It's not step by step instructions (Ludgar is a very complicated beast) but it does give some basic ideas. Start small. Big catapults need big structural parts to handle the counterweights and the spring tensions. The big parts are hard to deal with. Big catapults require STRONG structural members, and typically, softwoods like pine are not good catapult building materials for any catapult sized to hurl projectiles larger than a tennis ball. I feel it is best to use steel or hardwood for those bigger chuckers. For gravity machines (or trebuchets) make the pivot on which the counterweight swings as large in diameter as possible. I've seen thick steel rod bend and warp and become worthless on a single hurl. Make your pivot rod big, big, big. Catapults can be dangerous. I've seen people get knocked on the head by swinging counterweight. Ouch! Tension and torsion springs are dangerous as well. They pack a lot of energy and can be dangerous. For larger models, human powered catapults are a good place to start. They are easier to build and a lot of fun to operate. Sorry, but I am not able to answer individual catapult questions. But you can get most of what you need from The Art of the Catapult, which does have a lot of good information. Cave ne ante ullas catapultas ambules! How Come I've Never Heard of Gustav Trouvé? Here's a tribute to the greatest inventor you've likely never heard of. Gustav Trouve was a nineteenth century Frenchman who was first with so many things that I can't understand why his name is so obscure. I was doing some research on ornithopters for an article in Make Magazine when I first saw his name. The man seems to be a real polymath, a Gallic Edison. The first ornithopters capable of flight were constructed in France in the 1870s. Gustav Trouvé's 1870 model flew a distance of 70 meters in a demonstration for the French Academy of Sciences. The wings flapped by gunpowder charges activating a bourdon tube. In 1873, he was, in fact, the first to ... set an electric light at the tip of the endoscope, by using a small incandescent airtight bulb. Edison's "Mignon" bulb was only discovered after 1886. Take the ubiquitous outboard motor that enabled millions of people to take to the water. French inventor Gustave Trouve developed the first practical marine outboard in 1880 -- and it was powered by electricity. Trouve and three friends cruised the Seine in silence aboard a 17-foot launch with an electric motor powered by two bichromate of potassium batteries. By 1890, Trouve motors powered 100 boats in Europe. Trouve could not only lay claim to the world’s first marine outboard engine but, in taking the same motor and adapting it as the drive mechanism of a Coventry-Rotary pedal tricycle or velocipede, Trouve also pioneered the world’s first electric vehicle. On 1 August 1881 Trouve made his benchmark report to the French Academy of Sciences, stating: “I had the honour to submit to this Academy, in the session of 7th July 1880, a new electric motor based on the eccentricity of the Siemens coil flange. By suggestive studies, which have allowed me to reduce the weight of all the components of the motor, I have succeeded in obtaining an output which to me appears quite remarkable. Gustave Trouvé, French engineer, developed a set of wearable electrical jewels for the performers in 1884. Trouvé custom built a portable accumulator for the performer’s costume on almost half a kilo, and built incandescent light bulbs into a design of colored glass to create an effect of sparkling jewels. The electrical jewels soon became a commercial commodity, but it was only in the larger cities where the user could charge the accumulator. The power supply lasted for only 30 minutes. So who is Gustave Trouve? I could find very little personal background on him, beside that he was a Frenchman who live in Paris, was born in 1839 and died in 1902. In between he obviously did a lot of inventing. I'd like to know more about this guy. Surely there must be something written on him. Most likely, whatever there is, is in French which I do not read. Last month, Make Magazine's Dale Dougherty and I visited the World Championship Punkin Chunkin competition in Millsboro DE It is a unique event, a combination of technology, tongue-in-cheek humor, craftsmanship, and entertainment. Thirty thousand people come together in a harvested Delaware cornfield to contemplate man's inhumanity to pumpkins. The machines are interesting, but really, not as interesting as the people. There are characters galore and we (well, mostly Dale) made a podcast that includes some great interviews. It's available on the Make Magazine blog (www.makezine.com) or by clicking here . I'm into bullwhips. I make 'em, read about them, use them, and write about them. I also see movies about them. More on that at the end of this post. I write often for a magazine called Make, published by O'Reilly Media. It's a thick quarterly magazine, light on advertising and heavy on information. Projects, stories on inventors, (or "Makers" as the magazine calls them) tutorials on everything from welding to moldmaking. Some of my past articles were "how-to's" and covered topics such as a hamster powered night light, an ornithopter, a taser powered spud gun, and a tensegrity tower. Now, O'Reilly has recently launched a sister publication called Craft of similar ilk. It's a craft magazine that's terrific for men as well as women. As wide ranging a magazine as I've ever seen, it covers crafts of all kinds. I've just submitted my first article for Craft, entitled "How to Make a Bullwhip." I made several, and it's a great hobby. Complicated yet simple, whip making is a mix of science, craftsmanship, and sophistication. I love it! 1. All Indiana Jones Movies. My son Andy is studying at the University of Wisconsin to become an archeologist. For graduation, I'm giving him his own bullwhip. 3. 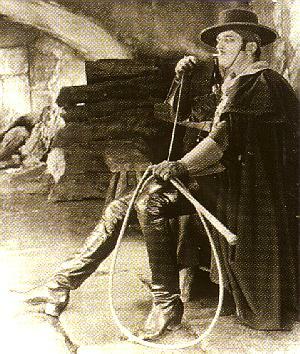 King of the Bullwhip. This 1950 oater features Lash Larue, the king of the bullwhip, hence the title. 4. Catwoman. Yes, a pretty bad movie, but there's nothing wrong with Halle Berry in a tight, revealing leather outfit cracking a whip. 6. Mutiny on the Bounty. I seem to remember some sailors getting flogged. 7. The Ten Commandments. I also seem to remember some Israelites getting flogged. But that's not why I like the movie. I like it because of the way Edward G. Robinson's character, the duplicious Dathan delivers his lines. 8. Bullwhip (with Rhonda Fleming and Guy Madison) GM is an underappreciated talent. Much of the material I write about involves experimenting with edgy, unpredictable science and technology. Of course, I don't condone recklessness or overtly dangerous behaviour. But it's a dangerous world in which we live. Get on with it. When authorities attempt to supress reasonable experimentation in the name of iron-clad safety and risk avoidance, it strikes me as wrongheaded and ultimately foolish. But even worse, when authorities kow-tow to pseudoscience, lamely masquerading as public health and welfare, it goes beyond merely that. Here's a recent article about a school in England that has ripped out its wi-fi network, thereby depriving the students there of a wonderful, learning enhancing technology in order to satisfy the half-baked concerns of the misinformed and the techno-phobes. Chichester's 500-year-old Prebendal School has bowed to pressure from parents and agreed to dismantle its wireless computer network, amid concerns that it could threaten children's health. Vivienne Baron, of Sidlesham, who is bringing up her 10-year-old grandson Sebastian, joined parents to lobby headteacher Tim Cannell. "The school was wonderful, and responded to what we were saying," she said. "Many people are unaware of the potential dangers with wireless computer networks. But they are like having a phone mast in the classroom, and the transmitters are placed very close to the children." I googled vivienne to see what else she had to say on the matter. From the results, it appears to me that she is an "anti-radiowave" activist and spends considerable time campaigning against the "dangers" of cell phone towers. My opinion: to deprive students of valuable educational technology based on such unproven concerns is a bad thing. Authorities need to stand up to Nanny State silliness. Today's St. Paul Pioneer Press contains an article about a blacksmith in Pepin, Wisconsin who built a trebuchet with the intention of hurling a fruitcake. The reporter gave me a call for background, and mentions my book, The Art of the Catapult in the story. The thing is, the trebuchet in the story looks like it's been built with 2x4's and a fairly small diameter pivot rod. I've seen a lot people try to build catapults from softwoods and such, but they typically fall apart after a few hurls. 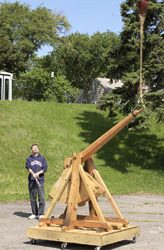 I get a lot of inquiries about building catapults large enough to throw pumpkins. That's a big order. An eight pound pumpkin needs an 800-pound counterweight and you can't easily do that with a catapult made from regular dimensional lumber. There are tremendous stresses on the machine, especially under rotation. This fellow seems to be successful with his fruitcakes though. Building your own catapult is a great project. For those interested in building their own catapult, I recommend some of Ron Tom's catapult kits. I've built them and they work very well. His Scorpion kit uses a bungee cord and the design and performance is quite impressive. For those who want to build their own models from scratch, pick up a copy of the Art of the Catapult.